In addition to the 10 episodes, the Vikings season three DVD and Blu-ray includes bonus features such as an overview of the season, never before seen interviews with cast and creators, official trailer and more. 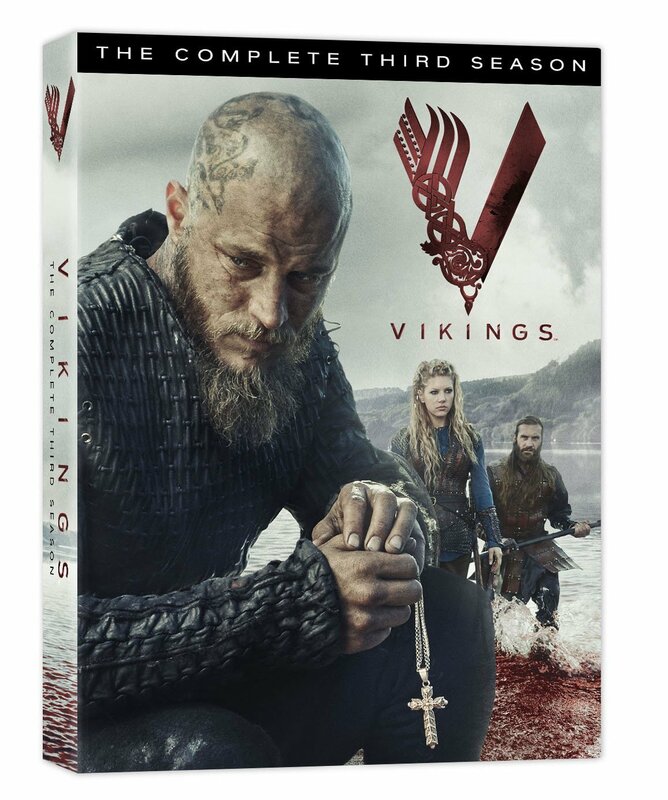 The Vikings season three DVD and Blu-ray will be available at all major retailers across Canada. My husband and I are huge fans of the show, Vikings. We've been watching since season one and just keep being fascinated and anticipating what's to happen next as each season goes by. In season three, just as the previous seasons, Vikings opens with Ragnar wanting more power and control over more land. As Ragnar and the rest of the Vikings fight to gain more power, it doesn't come without a price to pay. In this season we're shocked when a couple of main characters get killed off. One, being Ragnar's most trusted friend, Athelstan, killed by Floki. The death of Athelstan is one that sends all kinds of different questions and emotions that leads Ragnar trying to tempt fate and at times wanting to die himself so that he could be in the same place as his dear friend, Athelstan. During the end of season three we see the Vikings trying to fight and take over Paris as well as Ragnar coming close to death. The season wrapped up with Rollo being offered the position as Duke in Paris as well as Ragnar letting Floki know that he is aware that he killed Athelstan. The ending of season three departed as the Vikings headed back home from France and Ragnar finally saying goodbye to his dear friend. son three is now available on DVD. 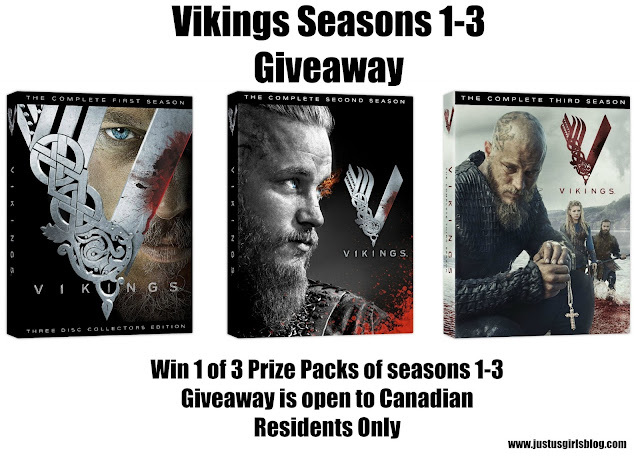 In the meantime we are excited to offer three Canadian readers a chance at winning seasons 1-3 so that you can catch up before season 4 premieres. Be sure to enter our giveaway below.